It’s not often that the biggest and the most talented stars from the Malayalam movie industry combine forces for a film. But the socio-political thriller ‘Lucifer’, releasing in the UAE on March 28th, is one such example. A-list actor Prithviraj Sukumaran turns director for the first time in his career and trains his attention on Mohanlal, one of Malayalam cinema’s long-enduring idols. 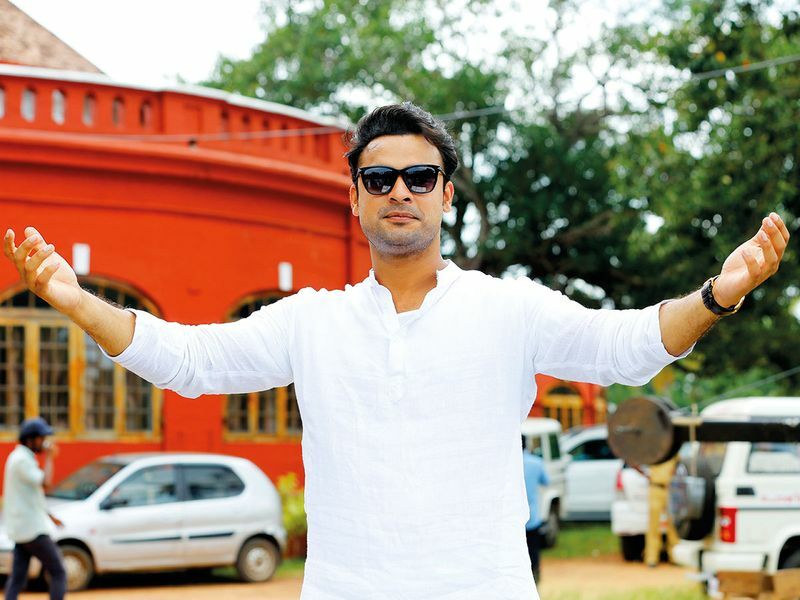 Ace actor and writer Murali Gopy has written ‘Lucifer’s’ screenplay. The movie also boasts Manju Warrier, one of Kerala’s beloved talents, and rising star Tovino Thomas, as a part of its star-studded line-up. The chief players of the film were in Dubai last week to talk up their new project. Be warned, they were collectively reluctant to give any details of the story away, but were happy to sing the praises of their co-stars. 1. 1 Prithviraj Sukumaran and team are unwilling to describe Lucifer as a political film. 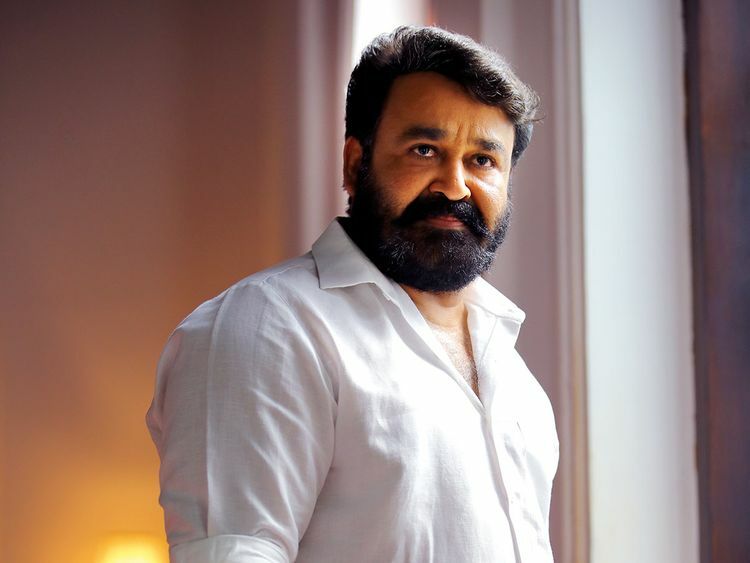 Even though the trailer — where Mohanlal plays the magnetic all-white clad people’s leader Stephen Nedumpally — points towards the direction of a politically-charged film, its makers insists there’s more to Lucifer than that. “It is a mix of many genres. It is not possible to compartmentalise this film into a particular genre,” said Gopy. “It is a completely mainstream film with all the ingredients in its rightful place.” According to Prithviraj, a film cannot be called political unless its plot, conflict and conflict resolution remains in that particular genre. “Fortunately or unfortunately, that doesn’t happen. For Lucifer, we have chosen a backdrop that is political, but the story is not political,” Prithviraj claims. Enough said. 2. Although the cast were in Dubai to promote ‘Lucifer’, they were surprisingly reluctant to talk about their character, the storyline or the plot of the movie. Their fear? “The exercise of me further elaborating other than whatever you have seen holds no significance… Our communication has been honest regarding the environment in which it [‘Lucifer’] exists. I would like them to discover the film themselves,” said Prithviraj. Translation? They didn’t want to ruin the viewing experience by giving away too many details. Mohanlal echoed his director’s thoughts with: “My lips are sealed. On 28th, people are anxiously waiting to hear and see ‘Lucifer’ … They have their own imagination and I don’t want to disturb them. After 28th, I will come back and talk more”. 3. 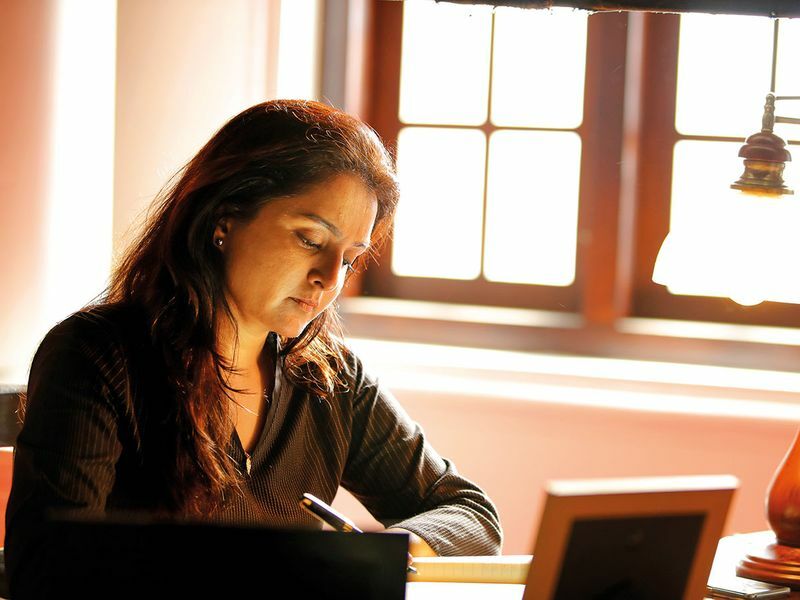 ‘Lucifer’ brings back the hit pairing of Manju Warrier and Mohanlal, actors that have incredible chemistry together. Even though their recent film ‘Odiyan’ was met with mixed reviews, their legacy of hits like ‘Aaran Thampuraan’ and ‘Kanmadam’ remain unmatched. “He’s one of the best actors of our times. I get to learn so much from him by just watching him perform… ‘Lucifer’ is one of those films I would have been keen to watch even if I was not in them,” said Warrier. 4. With this movie, Mohanlal will have completed 40 years in Malayalam cinema. Ask him about the milestone and the Indian National Award-winning actor brushes off that achievement with his trademark swagger. “I still feel like this is my first film. I have my own doubts and my own complexes, that’s the basic character of mine. But I become the character of the movie after two days. I can gel with my role and a beautiful acclimatisation happens and that’s the brilliance of my director,” said Mohanlal. While this legendary actor may have problematic views on #MeToo (he said in an earlier interview with Gulf News tabloid! that the movement was just a fad) he’s surprisingly grounded when it comes to wearing his success and fame lightly. He claims it’s his gut instinct that helps him choose roles. 5. Director Fazil, who has spearheaded hits such as ‘Manichithrathazu’ and ‘Ente Sooryaputhrikku’, returns to acting with ‘Lucifer’. Fazil plays a father figure to Mohanlal’s pivotal character. “Paachika [as Fazil is known in the industry] is a great actor. Everyone in the industry knows that. But I know it even more because when I was in my 12th standard, he did a screen test in Alapuzha along with another actress [Asin] who was in her 9th standard. He was telling us how to act. First he acted my role, then the girl’s part. I was wonder-struck by his talent.” Prithviraj went personally to Fazil’s home to convince him to do a role in his debut directorial. 6. Mohanlal describes Prithviraj as the real ‘Lucifer’, a fallen angel from the celestial plains. He knows what he wants and has this knack of conceiving a story well. According to writer Gopy, Prithviraj is in total command, while Warrier says he’s a director with 3 Cs: “Confidence, conviction and clarity.” Meanwhile, Thomas says that Prithviraj is one of the few directors who takes care of all the details, leaving the assistant director to do little. 7. Recently, small-budget films like ‘Kumbalangi Nights’ and ‘Njan Prakashan’ have been doing incredibly well at the box office and big-budget star-studded film have tanked. ‘Lucifer’ has been made on a big canvas, but Prithviraj isn’t worried. The trailer shows Mohanlal as a larger-than-life hero, who espouses dialogues like “now the battle is not between good and evil, but evil and evil”. Mohanlal also believes that style and swagger, like twirling your moustache or driving in a swanky jeep, doesn’t guarantee wide-spread appeal. 8. Prithviraj turns director with ‘Lucifer’. However, he believes he’s an actor first. Being a director is a skill that’s being acquired. “That’s my skill set … Although I am an accidental actor, I believe I am destiny’s favourite child too,” said Prithviraj. 9. ‘Lucifer’ was filmed in several countries including Kerala and Russia. The actor met with Minister Kadakampally Surendran to explore the idea of filming in Kanakakkunnu palace, a heritage mansion where filming was suspended. But Prithviraj assured him that his film crew would be careful while filming in the heritage site and got the approvals sorted. 10. Bollywood actor Vivek Oberoi will make his Malayalam film debut with Lucifer. He plays a dapper smuggler who wants to bring in drugs into India. Lucifer's star-studded line up is not limited to Oberoi's debut. Prithviraj's older brother Indrajit, who's one of Malayalam's most talented but underated actors, will also make his presence felt in the movie. Lucifer releases in the UAE on March 28. “I believe in destiny and providence. I never thought that my first film as a director will be such a high profile one or that its lead hero will be Mohanlal and with Murali’s script,” said Prithviraj on his directorial debut ‘Lucifer’.